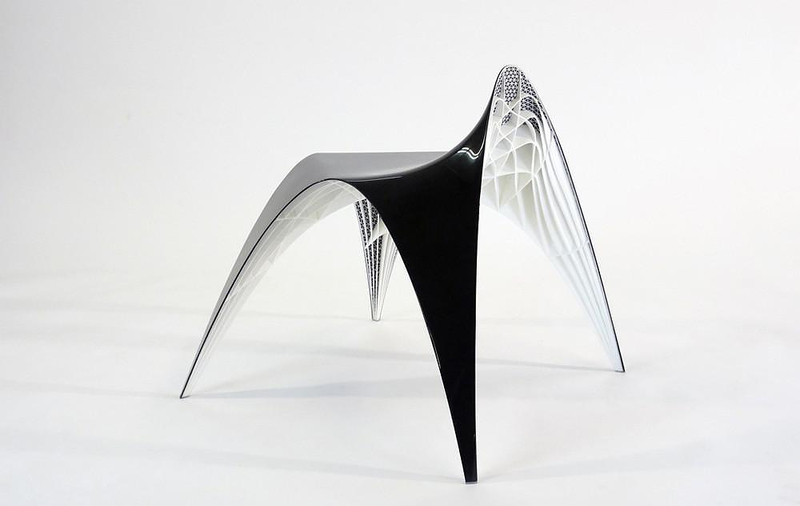 HomeBlogHome Decor3D Printed Gaudi Chair and Stool by Bram Geenen. 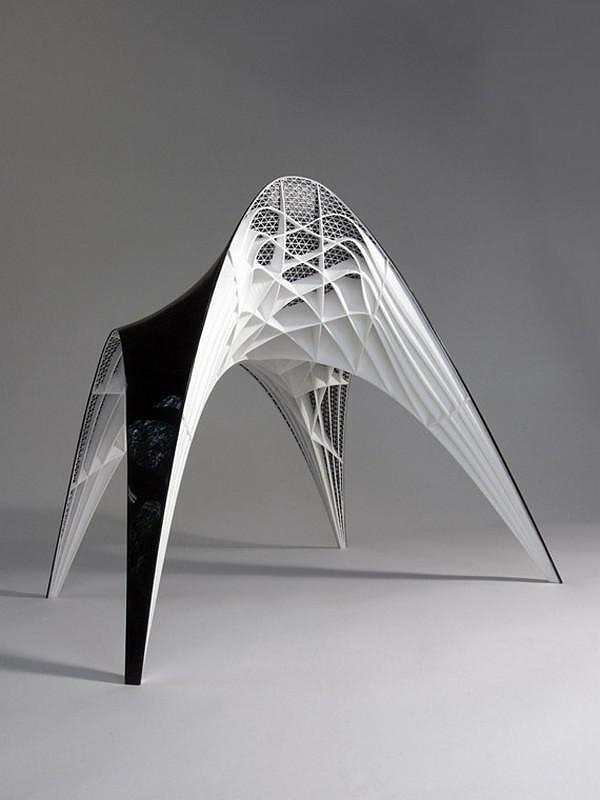 The Gaudi Chair by Dutch designer Bram Geenen is the definition of the term “architectural furniture”. 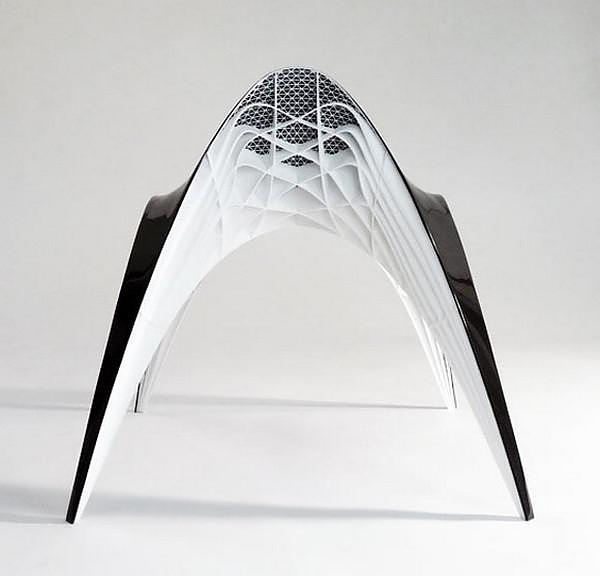 A unique chair developed based on the same scientific method used to create some of the world’s most impressive architectural monuments. Drawing inspiration from the work of Antoní Gaudi, Bram Geenen combined historical genius with cutting-edge digital technology to create these striking, minimalist stools and chairs. Antoní Gaudi developed a unique method for determining structural rigidity. He made models of hanging chains, that upside-down showed him the strongest shape for his churches. Essentially Gaudi was letting gravity determine the strongest and most logical shape for withstanding forces. Taking Gaudi’s example, Geenen used an inverted model of hanging chains to determine the most stable configuration for his seats. He then combined these models with a digital algorithm to find the best structure for the chair. Additionally, to be able to determine the structure of the chair’s backrest, a software script was used. The script was based on three steps: First the distribution of forces across the surface of the chair. Secondly the direction of forces defined the direction of the ribs. Finally the amount of force specified the height of a rib. Materials and techniques were chosen to create a lightweight structure, Bram Geenen’s Gaudi Stool weighs just one kilogram. A thin shell made of carbon fiber deals with the compressive forces, while a beam-grid substructure resists bending of the shell. The substructure was created using rapid-prototyping techniques, in order to achieve the needed complexity. 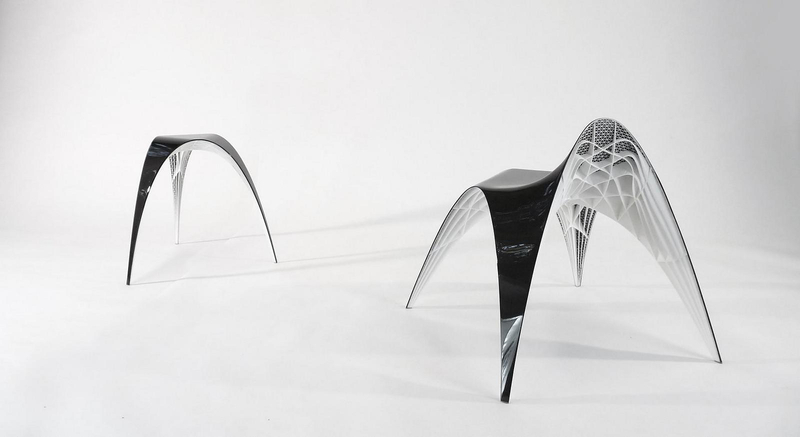 In collaboration with Dutch company “Freedom Of Creation” Geenen developed a rapid-prototyped structure that was used as a mold for the carbon-fiber laminates. This combining of these two high-tech techniques decreased costs of both of them, and made them applicable in a product. The surface is of carbon fiber, produced in cooperation with a company specialized in building parts for racing cars. The ribs are made of glass-fiber filled nylon, by selective laser sintering (a 3D printing technique). 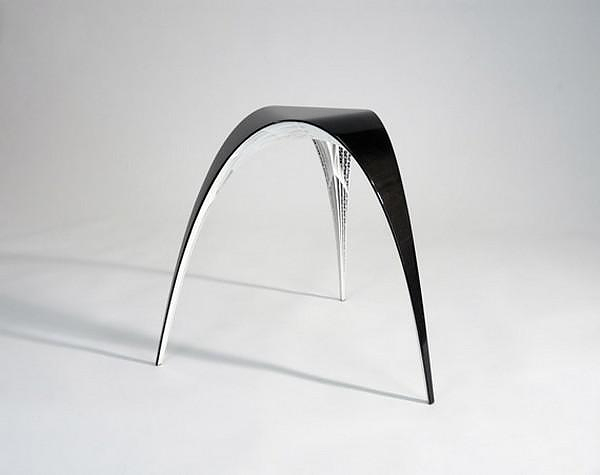 “The Gaudi-stool was part of the furnistructure project. 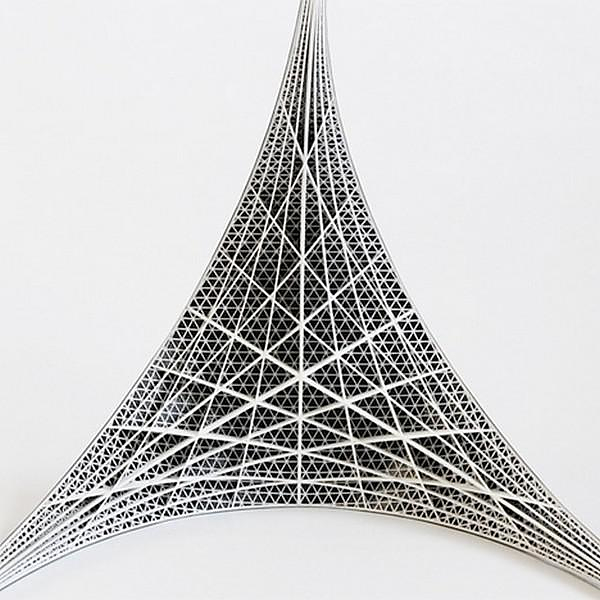 In the Furnistructures project we researched how lightweight products can be designed. Lightness has a lot advantages, in the use of products and their impact on the environment. This has lead to research into structural systems, as found in nature and architecture, and the possibilities of designing lightweight furniture using such systems.” Says Geenen. The project of the Gaudi Chair researches how new technology can be based on simple, logical concepts. In this case a concept which has proven its strength and beauty for over a hundred years.